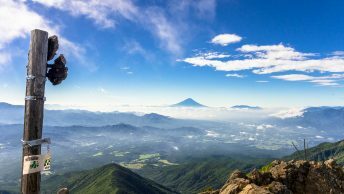 Accommodation costs in Japan are for the most part fairly pricey, luckily there are some budget alternatives on hand such as camping if you’re prepared to bring your own gear. In fact, there are over 3,000 campsites scattered across the Japanese archipelago to pitch a tent for the night. Whilst privately operated campgrounds certainly exist, the vast majority are owned and managed by public associations who tend to be motivated less by chasing a dollar than providing a community service. 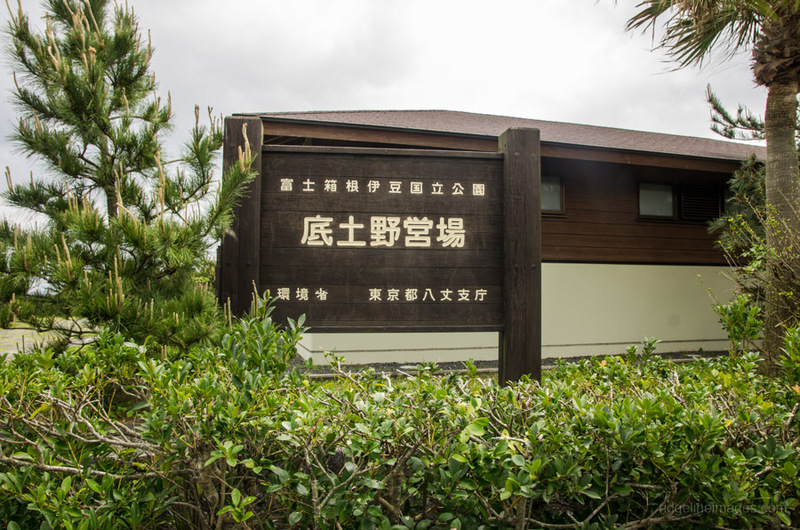 What this translates to, is huge savings as a good proportion of these campsites are either free or cost somewhere in the vicinity of 500 yen ($4.50 USD) per adult per night. 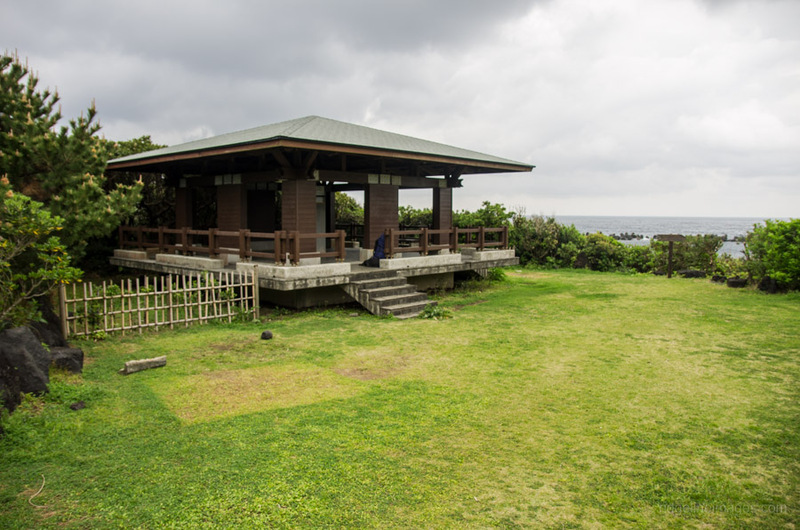 The following is an example of an excellent campsite I recently stayed at on Hachijo-jima, a remote subtropical island around 300 kilometres south of Tokyo. For a free campground located next to the ocean the amenities were second to none and better than a lot of paid ones I’ve stayed at in Australia, Europe and North America. What follows is a walkthrough, an introduction if you like of the facilities at one of the better free campsites you’ll likely encounter if you decide to camp your way around Japan. The Sokodo campground at Hachijo-jima island south of Tokyo. At this campground you can basically set up your tent anywhere you like within the designated area. At other campsites there are sometimes marked spaces denoting a boundary for each camper or raised platforms to sit your tent on. Picture perfect spot to camp for the night. Campsites in Japan are very much seasonal therefore outside of peak holiday periods you can more or less count on having the place to yourself. Peak periods meanwhile need to cater for an onslaught of campers by providing large numbers of fire pits along with plenty of smaller tables to place your belongings. Long washing troughs to clean up afterwards are also commonplace. Layout of a modern campsite in Japan. Concrete troughs with drinking water taps. It took some time to get my head around these outdoor fire pits, as typically communal BBQs in Australia are spread out with cast iron hot plates to cook from. 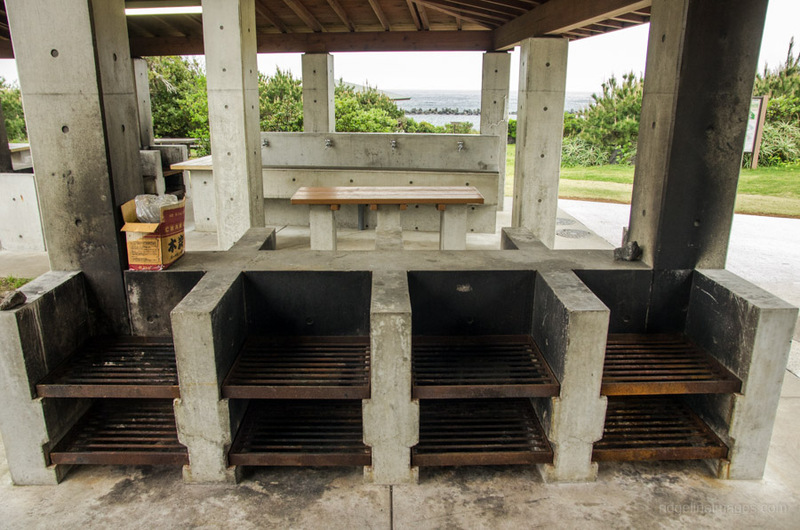 Japanese tend to use disposable gridirons for grilling food with charcoal briquettes rather than firewood as a heat source. Barbeque to your heart’s content. Like most campsites around the world there are plenty of outdoor picnic tables and benches to cook and eat at, along with communal areas to socialize with other campers. This campsite included sinks and mirrors in the restrooms, flush toilets (Japanese and Western style) as well as an accessible toilet with a baby changing table. An unexpected treat were the free hot water showers, temperature regulated to 40°C – 42°C (104°F – 108°F). Modern restroom facilities with natural sky lighting. Stock standard sinks and mirrors. Did someone say free hot showers? 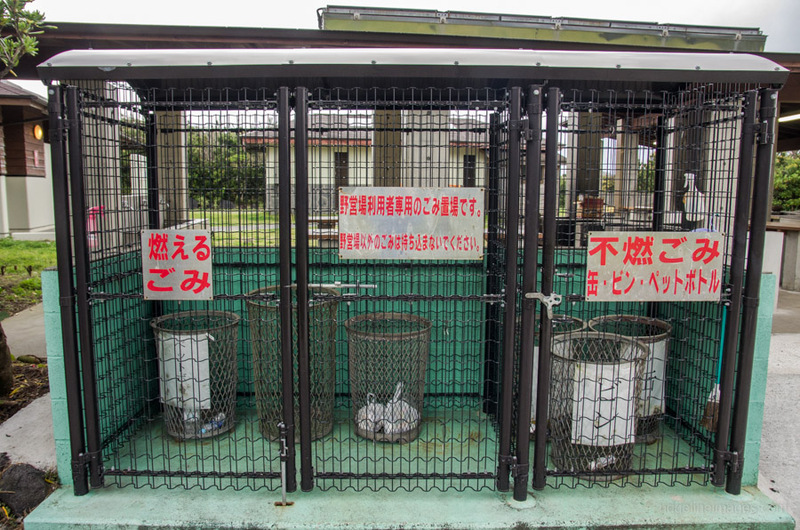 Following in the footsteps of larger Japanese cities, campgrounds are well-organized when it comes to recycling refuse. You are expected to separate burnable and non-burnable garbage, glass, PET bottles and plastics. Secured metal cages ensure the local wildlife keep their distance. A trouble free and eco-friendly way to dispose of your trash. Perfect for shielding yourself from the sun and rain this undercover pavilion also doubles as a food preparation area as well as for short term gear storage. Perfect place to cook up a storm. During severe weather events it’s always nice to have a refuge area to retreat too. This small changing come storage room behind the showers made the perfect spot to hunker down and ride out the storm on the final evening. Seeking out protection from rain and strong winds. THANKYOU! Your blog is really helpful and informative, we are starting to organize a month long trip in October…of ’19! Question: Where there is a camp ground, is car or van camping allowed? I see no pictures of car camping in your camping area pictures. Thanks. Thanks and great to hear the blog has been helpful in your preparations. At this particular campground it is open so you can basically set up your tent where ever you wish, it was also off season so not many people were staying there. I did blog post recently titled “20 Places to Pitch a Tent Around Tokyo” which writes about campgrounds where you can bring your car or van. If you wish to bring your own vehicle you will need to stay at an ‘auto camp’ of which nowadays there are plenty. Best of luck with it.